Description: Mostheme Mini - Template Minimalistic, High CTR and Fastest Load Blogger Templates is a clean and minimalistic style. 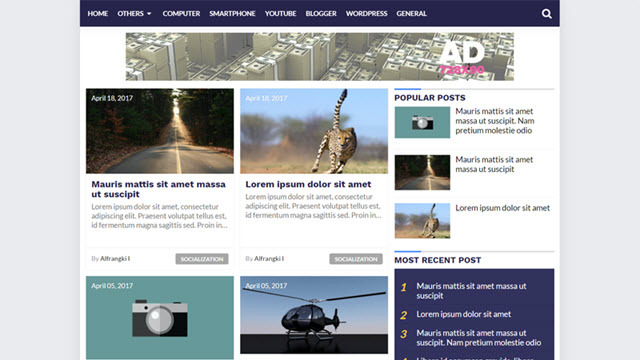 Template can be used for any type of website, business, products, marketing, personal blog, blog for review etc. Primary has been coded in HTML5 & CSS3 and no using jQuery. It contains a lot of HTML pages with flexible responsive layout and mobile responsive. It absolutey high CTR, fastest loading and mobile-friendly too.